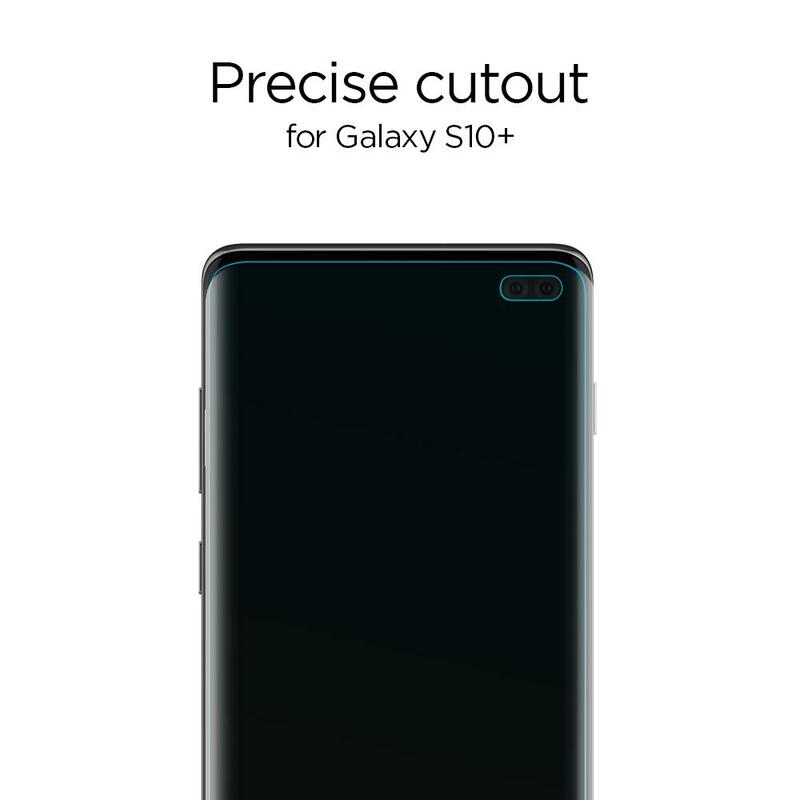 Neo Flex for Galaxy S10 Plus provides flexible clear protection for your phone. Comes with a Wet Install, so if you get the application wrong, you can re apply it. 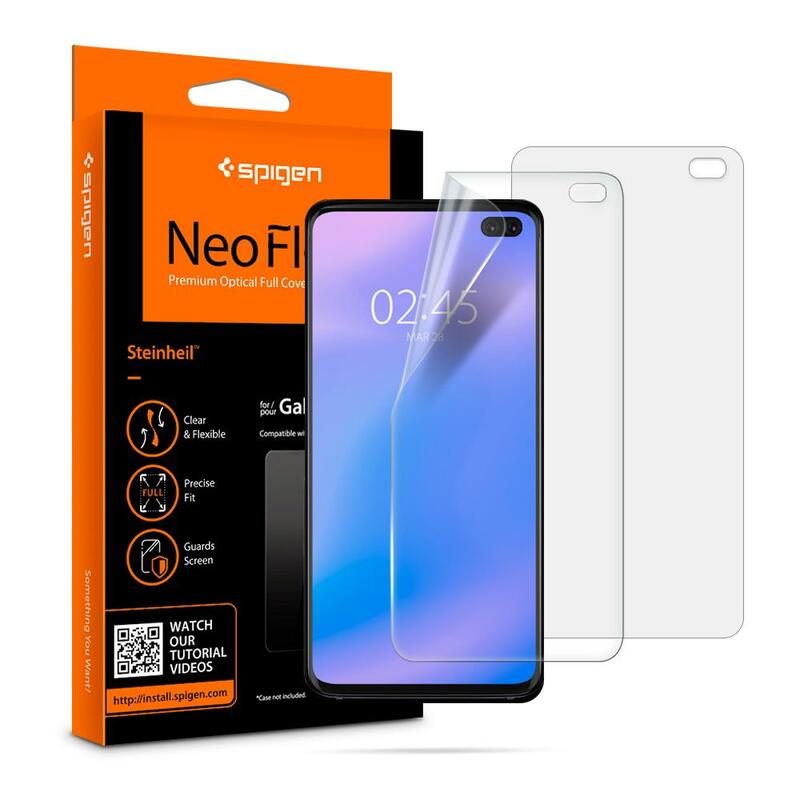 SPIGEN Neo Flex HD for the Samsung Galaxy S10 PLUS is a set of 2 Screen Protectors made with Flexible Thermoplastic Polyurethane Film (TPU). Say no to scratches, rainbow effects and bubbles! Neo Flex HD is self-healing and easily applied with Wet installation via included spray. 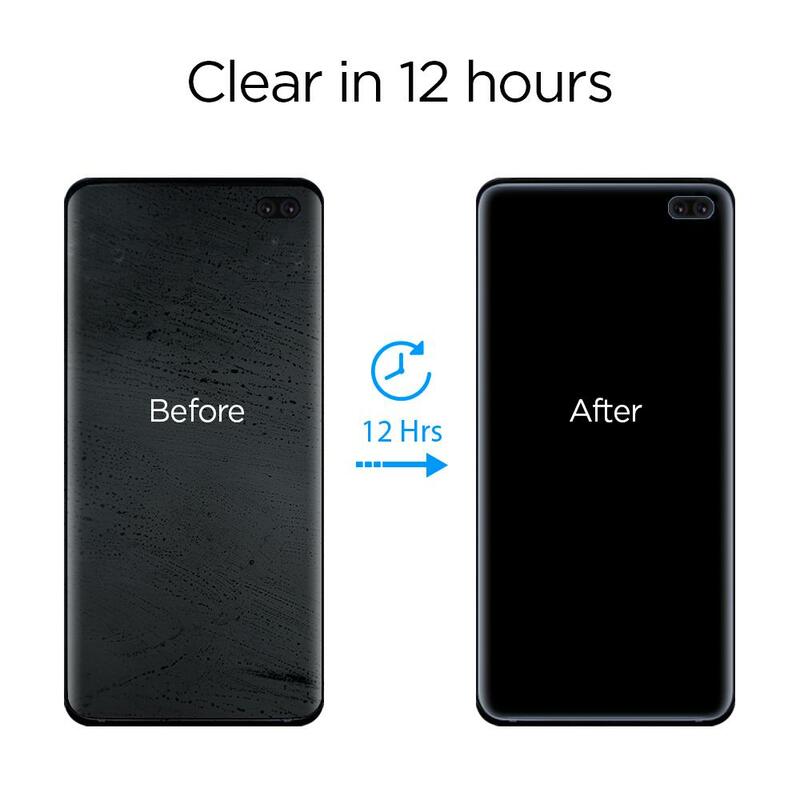 Simply give the Neo Flex HD a few spritz of its magic and within 24 hours you will find your screen clear as new. 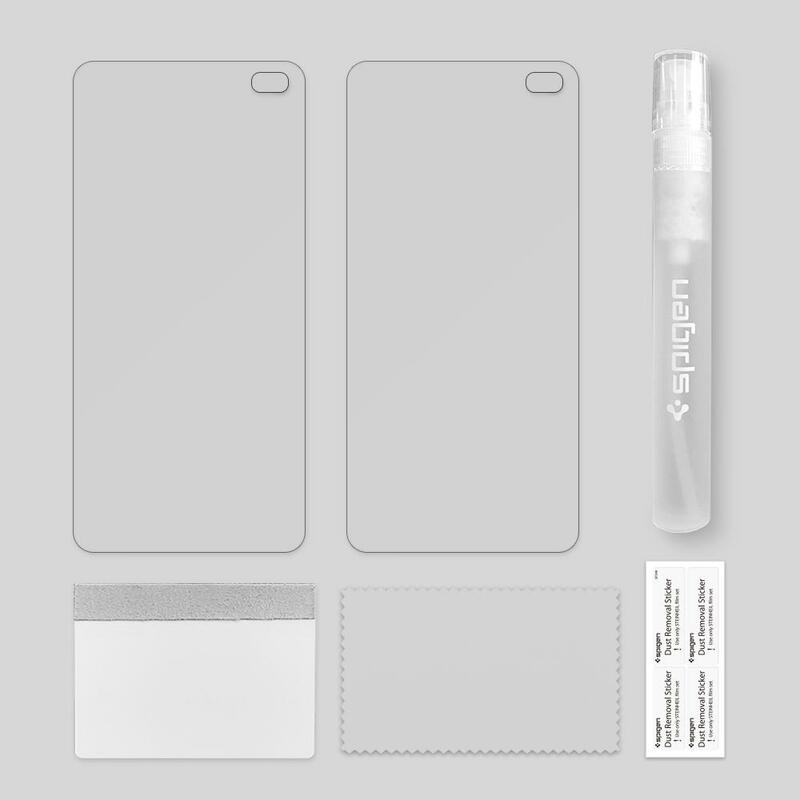 Its wet application ensures a strong adhesion and a bubble-free surface. 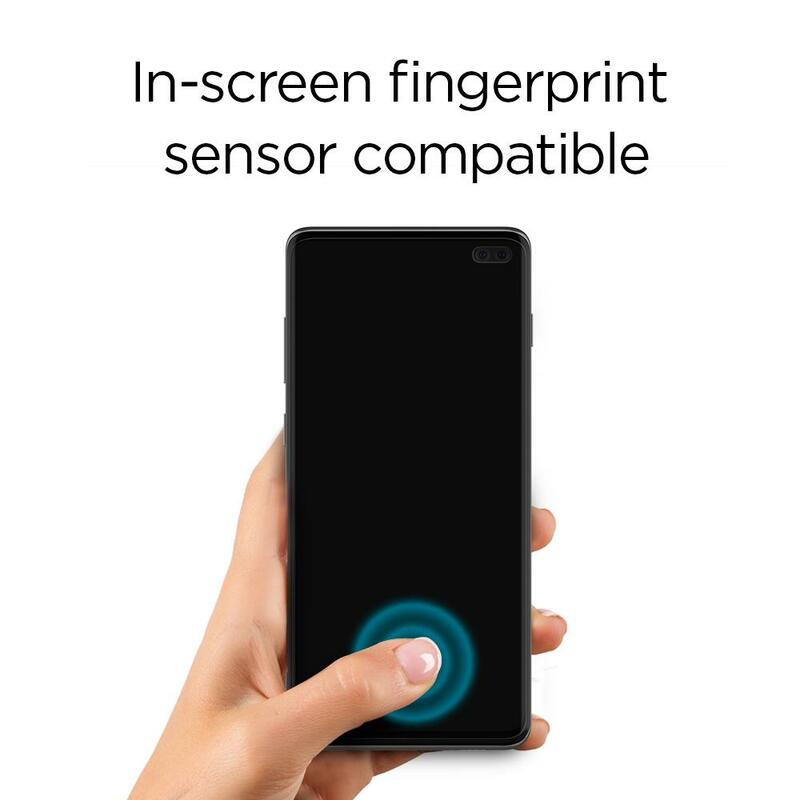 Neo Flex does not affect the touch sensitivity of the screen and is in-screen Finger Print Sensor Compatible. 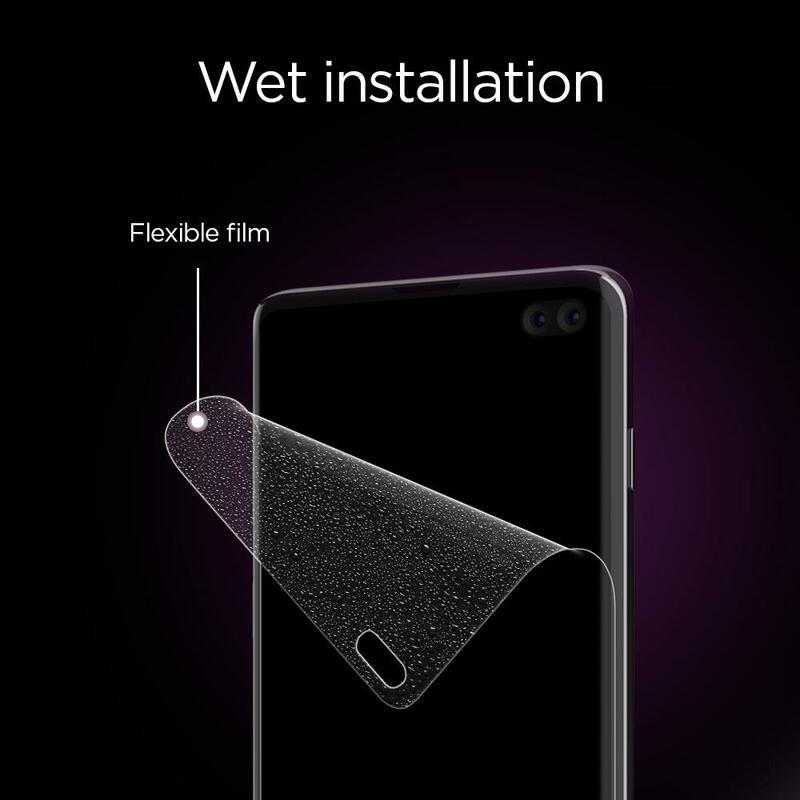 The clear and Flexible material of Neo Flex HD also ensures precise fitting even on curved surfaces and allows you to enjoy original clarity of the screen. 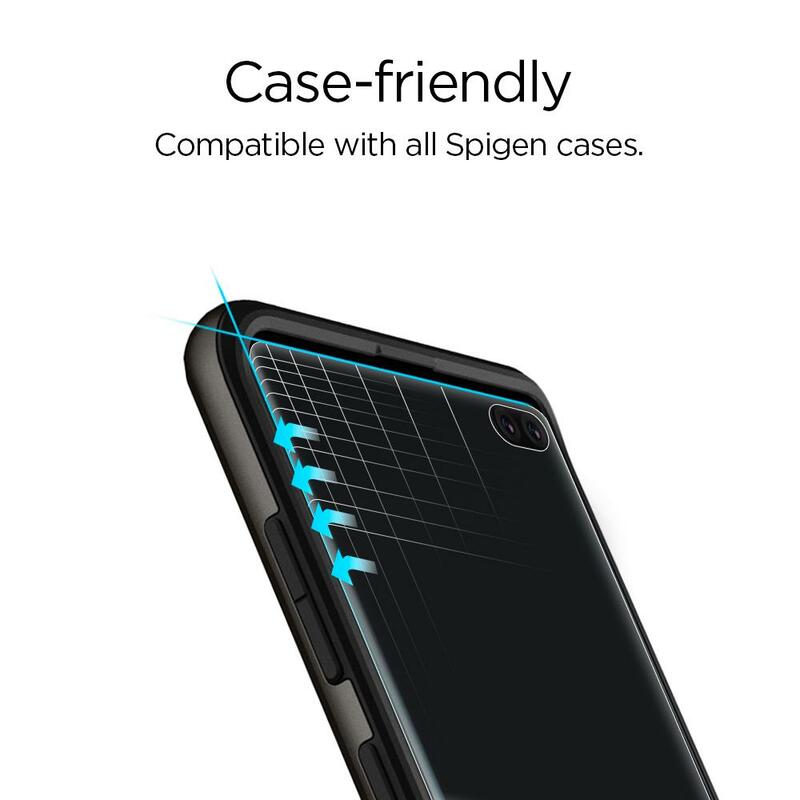 It efficiently covers reasonable area of screen to ensure compatibility with majority of Spigen cases (Pictures illustrate coverage area). 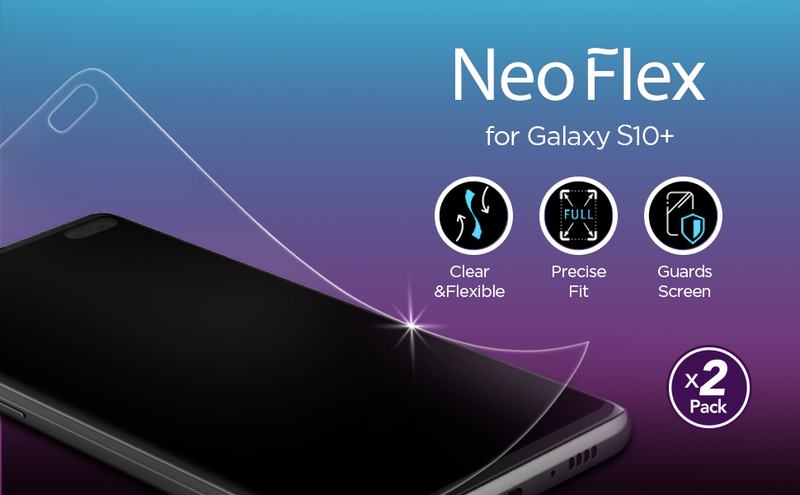 The Neo Flex HD provides you the protection and durability you need from everyday impacts on your screen. Let Neo Flex HD take the hit, not your phone. IMPORTANT: Before installing, Pls watch tutorial / installation Video via the QR scan code or web link on the retail pack. 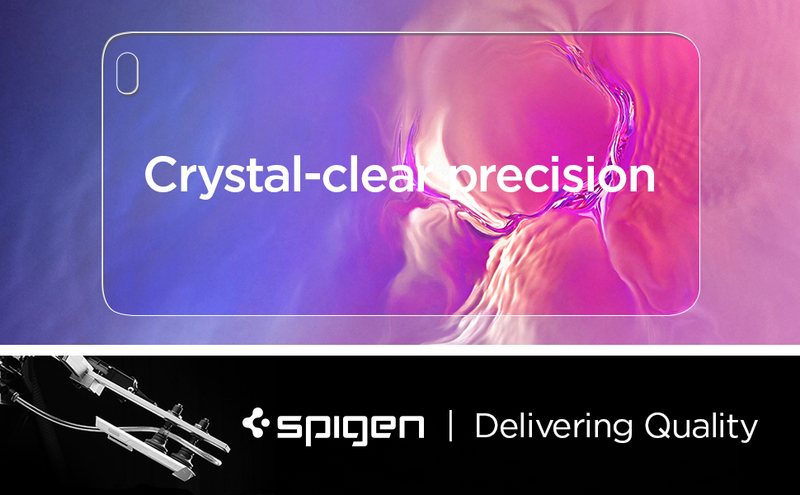 Pls clean screen properly before application since Dust particles between screen and protector can cause bubbles. The Wet application helps in a bubble free application. After application, any remaining small AIR bubbles without dust particles will disappear after a few days. – 2 Pack – If you make a mistake in installation you get a second chance. OR share the 2nd one with family or a friend. – Bubble and Rainbow-free clarity.